This entry was posted in Answers, Cleanse, Director Notes, Film, Food, Guest Post, Hot Topic, In The News, Personal, Production, Questions, Serious Issues, Uncategorized and tagged Barry Roskin Blake, CEO, chicken, childhood obesity, children, Courtney Mueller, exercise, finding thin documentary, finding thin film, french fries, fried, grease, health, jesus, Jim Skinner, junkfood, mascot, mcdonalds, red, santa, unhealthy, yellow. Bookmark the permalink. I was going to get a mcdonalds ice-cream cone today (for the taste, not the clown) but this blog stopped me. I’ll stick with grapes instead. Just another reason to lay off another hard working American. The blogger is right, parents need to cook better meals at home so eating out is not an option. We all need to make better food choices, but the clown is not to blame to the fried food and greasy goodness!! Ha. I totally agree. Though McDonald’s is selling terrible food that is making our nation sick. It has nothing to do with Ronald. Everyone has the opportunity to make their own educated decisions. It is not like the information is not out there. 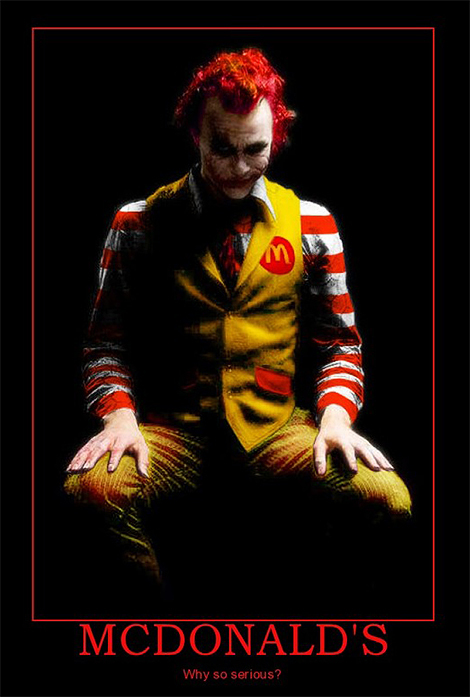 I was always more of a fan of Hamburglar than Ronald anyways. I can see both sides of the story though. Camel was forced to stop using their mascot which targeted the youth, I don’t see anything wrong with forcing the same standards upon an industry that can be just as detrimental to health as cigarettes. I do agree though, the clown alone doesn’t bring anyone there, but I think it’s at least nice to see that people are starting to target the health of our youth, even though their aim may be a little off. People complicate things and prefer placing the blame on others rather than themselves. 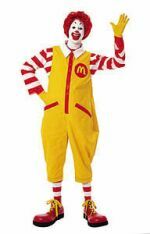 If you feel that McDonalds does not serve healthy food for you or your children, then do not buy food from McDonalds. Simple.